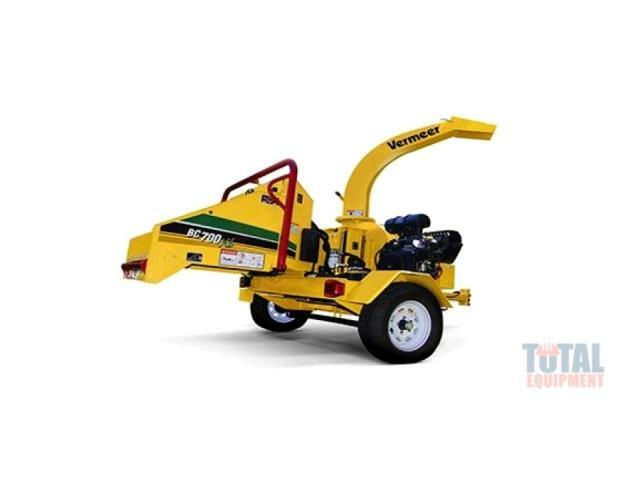 Vermeer continues to respond to the demands of the rental, landscape and tree care professionals with the BC700XL brush chipper. The BC700XL design is based on operator feedback and focuses on productivity advantage and ease-of-use. 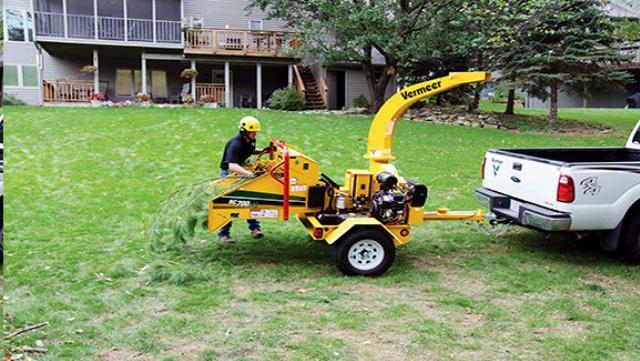 The brush chipper features a centrifugal clutch system, 25 horsepower (18.6 kW) Kohler EFI engine, bottom feed stop bar and Vermeer exclusive SmartFeed feed-sensing control system. The new member of the chippers line offers the compact size operators are looking for and the performance they want to achieve a job efficiently. The centrifugal clutch engagement prevents belt slip when engaging the clutch which means fewer maintenance costs. The 25 hp (18.6 kW) Electronic Fuel-Injected (EFI)Kohler engine performs well during cold-weather starts, has reduced occurrence of engine flooding and provides improved fuel economy over comparable carbureted gas engines. The large infeed opening makes feeding irregular material easier and decreases the amount of saw cuts needed prior to feeding the chipper. The exclusive SmartFeed, patented feed-sensing control system, from Vermeer helps increase operator productivity and reduces strain on vital engine parts, as engine rpm is monitored and feed rollers are controlled. A bottom feed stop bar is strategically located to make it possible for the operator's leg to strike the bar and shut off the feed mechanism either intentionally or automatically in an emergency situation. The wide offers a wide footprint at the axle for side-to-side stability; additionally enhances transportability and visibility while backing up. * Please call us with any questions about our chipper 7 inch heavy duty vermeer bc700xl rentals in Spartanburg SC, Greenville, Gaffney, Simpsonville, and the Upstate Region of South Carolina.